Citric Acid, Acidity Regulators: Sodium Bicarbonate & Potassium Hydrogen Carbonate, Sweeteners (Sucralose & Sorbitol), Magnesium Carbonate, Maltodextrin, Natural Orange Flavouring, L-Carnitine Tartrate, Starch, Vitamin B12 (Maltodextrin, Citric Acid, Trisodium Citrate, Cyanocobalamin), Vitamin C (Ascorbic Acid), Niacin (as Nicotinamide), Redbeet Powder, Ferrous Sulphate, Thiamin (Vitamin B1 HCl), Zinc Citrate, Guarana Extract (2.5% Caffeine), Vitamin B6 (Pyridoxine HCl), Pantothenic Acid (as Calcium Salt), Riboflavin (as Riboflavin 5-Phosphate Sodium), Folic Acid (as Pteroylmonoglutamic Acid), Biotin. to any of the ingredients. Contains polyols, excessive consumption may produce laxative effects. Contains low levels of natural caffeine (0.4 mg per tablet). Not recommended for children or pregnant women. Made in a site that may handle nuts. Why has Wellwoman Energy been developed? 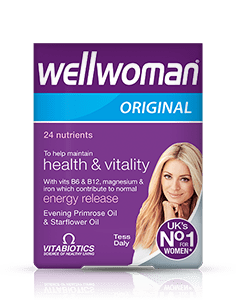 When is Wellwoman Energy recommended? Can Wellwoman Energy be used simultaneously with medications? 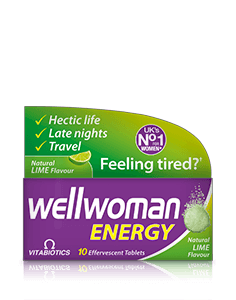 How many tablets does one pack of Wellwoman Energy contain? 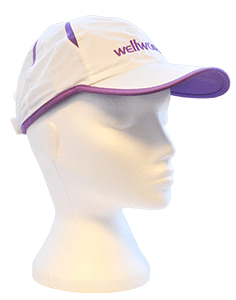 How and when should Wellwoman Energy be used? 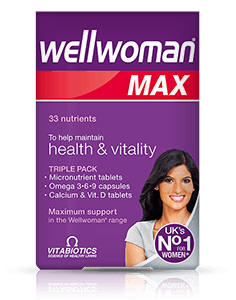 Are there any undesired side effects whilst taking Wellwoman Energy? 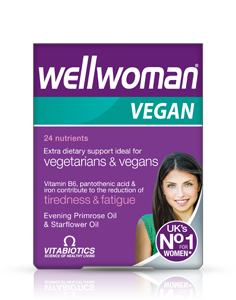 Wellwoman Energy is ideal for when you need an extra boost of vitamins. It has been scientifically developed for women to provide essential vitamins, minerals and amino acids. 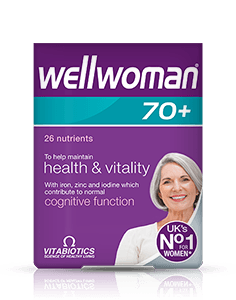 Wellwoman Energy contains vitamins B6 and B12 which contribute to normal energy release as well as vitamins C and minerals zinc and iron which contribute to the normal function of the immune system. 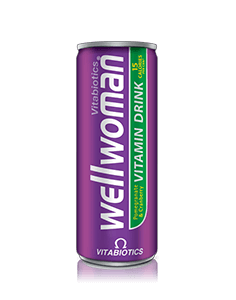 Wellwoman Energy also contains L-Carnitine and Guarana extract. Each effervescent tablet makes a great tasting natural orange or lime flavoured drink. 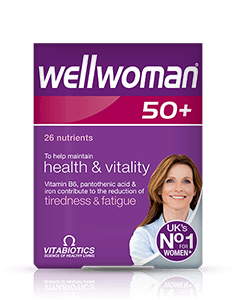 Wellwoman Energy is recommended for women of all ages who lead busy, demanding lifestyles, and is designed as an additional nutritional energy boost, to be taken daily. 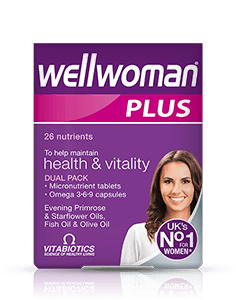 Wellwoman Energy contains 10 effervescent tablets per pack. The recommended dose is to take one tablet per day. Wellwoman Energy has no known side-effects when taken as directed. Do not exceed the recommended intake. In case of overdose, seek medical advice immediately. Results vary amongst individuals, but in most cases, you should experience improved energy levels after a few minutes of drinking, as the nutrients are digested. There is no maximum length of time over which Wellwoman Energy may be used. A regular intake is recommended. 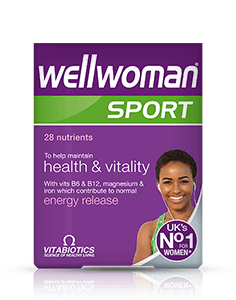 Wellwoman Energy contains the sweeteners Sorbitol and Sucralose to provide a low calorie flavoured drink.